Hi, there. My family lived in Medzhybizh for 150 years from 1770 until 1925 when they emigrated to America. My father told me that by 1925 there were around 500 Medzhybizh migrants living in NYC. 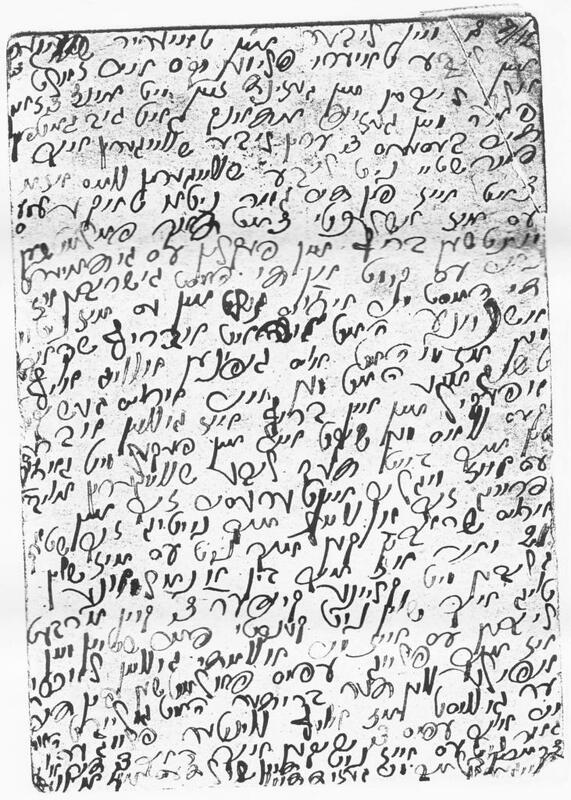 I can read Yiddish and I tried to read the image u posted, but it’s very jumbled up and hard to make out. I don’t know how much I can help, but if you know Sarah or your family from Medzhybizh last name my father might possibly know something about them. Hi Leo! Thank you for your message. I have been able to have the letters translated and I will send you them, if you are interested in seeing the translation. My great-grandmother’s surname was something like Sechanowsky, changed to Sanofsky and Sanowsky in the US. My great-grandfather’s surname was Brand(t). They were both born in Medzhybizh about 1880 and came to the US in 1896 and 1897. The woman I write about in the post was my great-grandfather’s sister.